Dilution is a common lab technique that most science students encounter when they want to achieve a specific concentration of a solution. But it is also what you do when you add water to your food and drinks at home to make them more to your liking. Dilution affects many properties of a solution, including its pH level. Dilution makes an acidic solution more alkaline and an alkaline solution more acidic. To work out the pH effect of dilution, you determine the concentration of hydrogen ions and convert it to pH using a simple working formula. To dilute an aqueous solution, you simply add water to it. 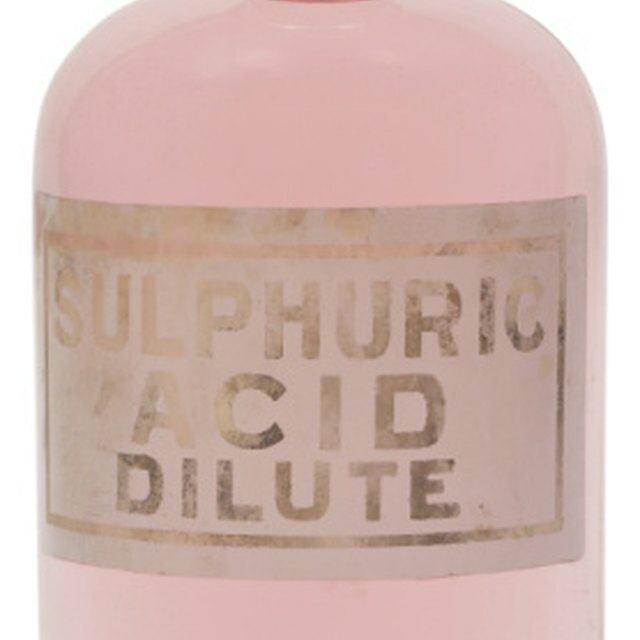 This increases the proportion of the solvent or the liquid material for dilution compared to that of the solute or the component dissolved in the solvent. For example, if you dilute saltwater, the solution will contain the same amount of salt, but the amount of water will increase. The pH scale measures how acidic or alkaline a substance is. It runs from 0 to 14, with a pH of 7 being neutral, a pH lower than 7 being acidic and a pH higher than 7 being alkaline. The scale is logarithmic, meaning each whole pH value below 7 is ten times more acidic than the next higher value. For example, pH 3 is ten times more acidic than pH 4 and 100 times more acidic than pH 5. The same is true for pH values above 7. Each value is ten times more alkaline than the next lower whole value. For example, pH 9 is ten times more alkaline than pH 8 and 100 times more alkaline than pH 7. Pure or distilled water has a pH of 7, but when you add chemicals to water, the solution can become either acidic or alkaline. The pH level of a solution is a measure of its hydrogen ion concentration. Solutions with a high concentration of hydrogen ions have a low pH, and solutions with a low concentrations of H+ ions have a high pH. Acidic substances include black coffee, battery acid and lemon juice. Diluting an acid decreases the concentration of H+(aq) ions, which increases the pH level of the solution towards 7, making it less acidic. However, the pH level of an acidic solution cannot become greater than 7, because the water you add to dilute it is not alkaline. Alkaline substances include ammonia, baking powder and bleach. Diluting an alkali decreases the concentration of OH-(aq) ions, which decreases the pH level of the solution towards 7, making it less alkaline. However, the pH level of an alkaline solution cannot become lower than 7, because the water you add to dilute it is not acidic. The pH level of a solution is a measure of its hydrogen ion concentration. Solutions with a high concentration of hydrogen ions have a low pH, and solutions with a low concentrations of H+ ions have a high pH. A simple working definition of pH is pH = - log[H+], where [H+] is the hydrogen ion molarity. A logarithm of a number is simply the exponent when you write that number as a power of ten. The definition of pH solved for hydrogen ion molarity is then [H+] = 10-pH. For example, the molarity of hydrogen ions in a pH 6 solution is 10-6 M. Use this calculation to estimate the hydrogen ion concentration before dilution. After dilution, measure the solution's new volume. For example, if you dilute the solution to four times its original volume, the concentration will be reduce to one quarter. If the original volume is V1, and the total volume after dilution is V4, the final concentration will be V1/V4 times the original concentration. You can then convert the hydrogen ion concentration back to pH using pH = - log[H+]. Frostburg State University: How do I calculate the pH for a strong acid solution after dilution? Gillespie, Claire. "How to Calculate the pH Effect of Dilution." Sciencing, https://sciencing.com/calculate-ph-effect-dilution-8461124.html. 26 April 2018.